Concerts can be so much fun and exhausting at the same time. It is one of those rare moments where you will get to watch your favorite artist or groups perform live. And with that, singing your heart out and dancing the night away is a must! To set your mood for the show, you have got to have energy- a snack or a meal. At the Premiere Cafe in Mall of Asia Arena, concert goers are welcome to savor delectable gourmet dishes in their classy and stylish lounge! My concert experiences have been more on the fun and open-air side such as my dream one- Coldplay’s A Head Full of Dreams tour in April 2017 which was held at the Mall of Asia Concert Grounds. I have yet to attend a concert in Mall of Asia Arena. MOA Arena, as it is more commonly referred to, is the leading venue for local and foreign entertainment and sporting events. Among its ultramodern facilities are deluxe corporate suites and specially-curated food establishments. 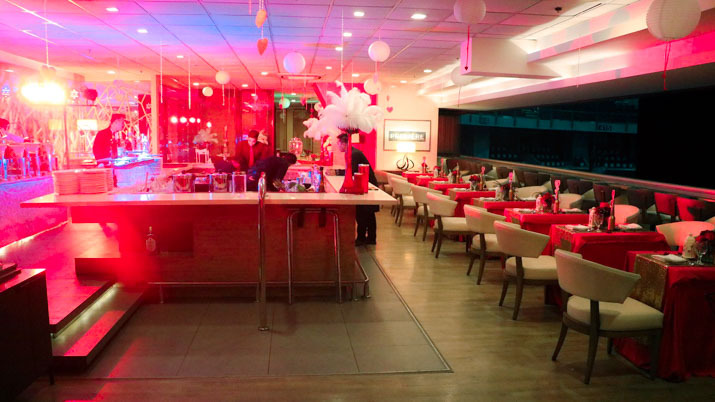 Speaking of food, Premiere Cafe + Lounge is a luxurious restaurant exclusive to Premiere Suite section ticketholders. The classy and stylish lounge welcomes the guests before they get to savor delectable gourmet dishes at the Premiere Cafe. The space serves more than just as a great dining place because it transforms during sporting events into a viewing deck. Herman Medina-Cue, SM Lifestyle Entertainment, Inc. Chief Operating Officer, shares that they wanted to give their patrons the VIP experience more than just enjoying the events but also the luxurious amenities MOA Arena has to offer. Guests experienced VIP treatment as they dined with soothing live music at the Premiere Café + Lounge. This is not the first time Premiere Lounge opened its doors to concertgoers as it had before during Mariah Carey’s “The Elusive Chanteuse Show” and Madonna’s “Rebel Heart Tour Concert”. This year, however, SM Mall of Asia Arena patrons can expect to avail of the exclusive offer during select major concerts. Keep an eye out for the upcoming concerts in the country, Bingers. Also, get ready to dine at the Premiere Café + Lounge to experience the VIP treatment that only the Mall of Asia Arena offers!